What is the most important information I should know about nevirapine? Your blood will need to be tested often during the first few months you are taking nevirapine. Nevirapine can cause severe or fatal liver problems. Stop taking this medicine and call your doctor at once if you have: nausea, loss of appetite, upper stomach pain, tiredness, fever, unexplained muscle pain or weakness, dark urine, clay-colored stools, or jaundice (yellowing of the skin or eyes). Nevirapine may also cause severe or life-threatening skin reactions. Stop taking nevirapine and get emergency medical help if you have: a fever, swelling in your face or tongue, skin pain, or a rash that spreads and causes blistering and peeling. Nevirapine is an antiviral medicine that prevents human immunodeficiency virus (HIV) from multiplying in your body. 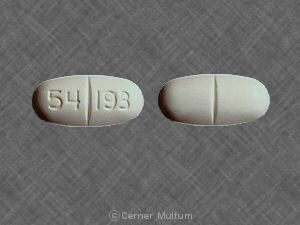 Nevirapine is used to treat HIV, the virus that can cause acquired immunodeficiency syndrome (AIDS). Nevirapine is not a cure for HIV or AIDS, and should not be used to prevent HIV. Nevirapine oral solution (liquid) is for use in adults and children as young as 15 days old. Nevirapine extended-release tablets are for use in adults and children who are at least 6 years old. Nevirapine may also be used for purposes not listed in this medication guide. What should I discuss with my healthcare provider before taking nevirapine? You should not use this medicine if you are allergic to nevirapine, or if you have moderate to severe liver disease. It is not known whether this medicine will harm an unborn baby. However, nevirapine may be more likely to cause liver damage in a pregnant woman. Tell your doctor if you are pregnant or plan to become pregnant. HIV can be passed to your baby if you are not properly treated during pregnancy. Take all of your HIV medicines as directed to control your infection. Nevirapine can make birth control pills less effective. Ask your doctor about using a non-hormonal birth control (condom, diaphragm with spermicide) to prevent pregnancy. Follow all directions on your prescription label. Your doctor may occasionally change your dose. Do not use this medicine in larger or smaller amounts or for longer than recommended. Starting with a low dose can reduce your risk of skin reactions. Nevirapine must be given in combination with other antiviral medications and it should not be used alone. While using nevirapine, you will need frequent blood tests (especially during the first 18 weeks of treatment). Use nevirapine regularly to get the most benefit. Get your prescription refilled before you run out of medicine completely. If you have not taken nevirapine for 7 days in a row, call your doctor before you start taking the medicine again. You may need to start with a lower dose. What should I avoid while taking nevirapine? What are the possible side effects of nevirapine? Nevirapine can cause life-threatening effects on the liver, especially in women. Call your doctor at once if you have any of these liver symptoms while taking nevirapine: nausea, loss of appetite, upper stomach pain, tiredness, fever, unexplained muscle pain or weakness, dark urine, clay-colored stools, or jaundice (yellowing of the skin or eyes). Nevirapine may also cause severe or life-threatening skin reactions. Stop taking this medicine and get emergency medical help if you have: a fever, sore throat, swelling in your face or tongue, burning in your eyes, skin pain, and a red or purple skin rash that spreads and causes blistering and peeling. This type of reaction is a medical emergency. What other drugs will affect nevirapine? This list is not complete and many other drugs can interact with nevirapine. This includes prescription and over-the-counter medicines, vitamins, and herbal products. Give a list of all your medicines to any healthcare provider who treats you. Your pharmacist can provide more information about nevirapine. Copyright 1996-2017 Cerner Multum, Inc. Version: 19.01. Revision date: 4/16/2017.